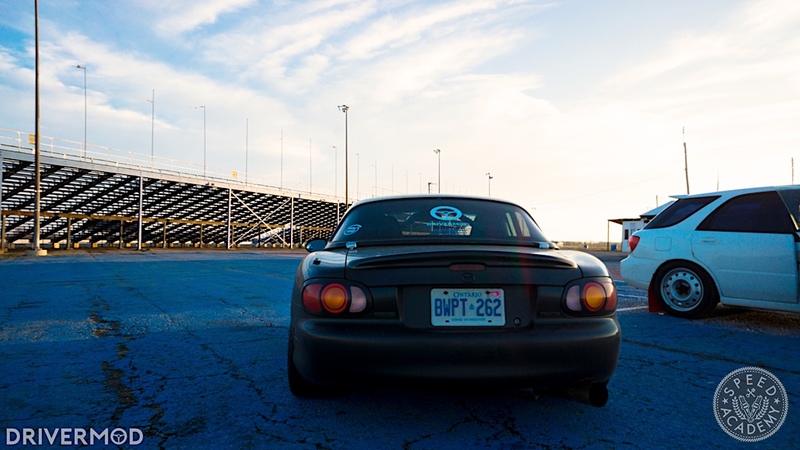 Let me paint the scene; it’s 10C° at Toronto Motorsports Park and my 1999 Miata has a fresh 2.4L Ecotec engine in it. Better yet, my boss has shown up in his Mercedes C400 and we’re teeing up for a bit of friendly competition – a classic David and Goliath battle. 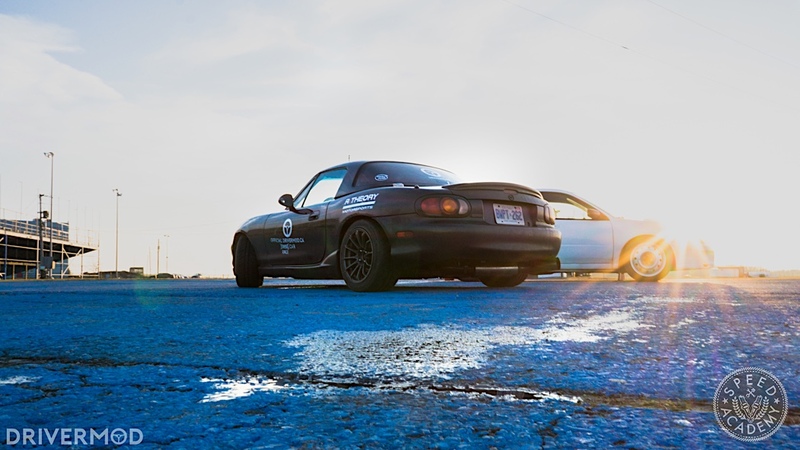 We shot hot laps, pro drifter Riley Sexsmith took the car out and achieved full opposite lock, and I got to report back to my coworkers that my boss went off track on his second lap. It was great until it wasn’t. 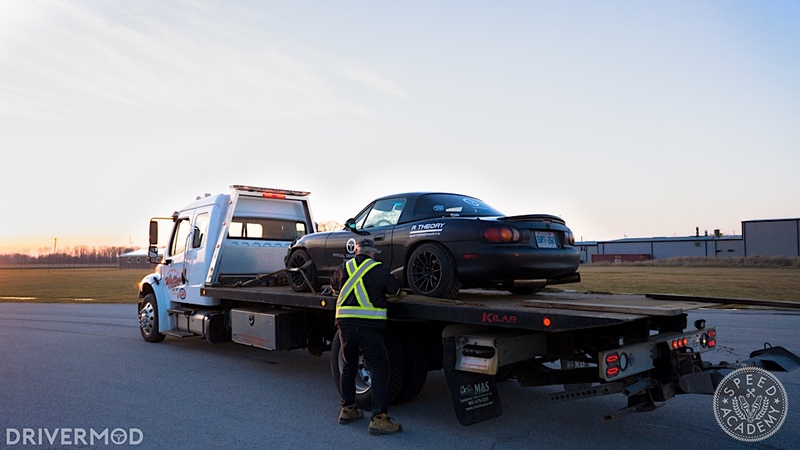 The car dropped a quart of oil on the track and then went home on a tow truck. As usual. Let’s rewind about four months. 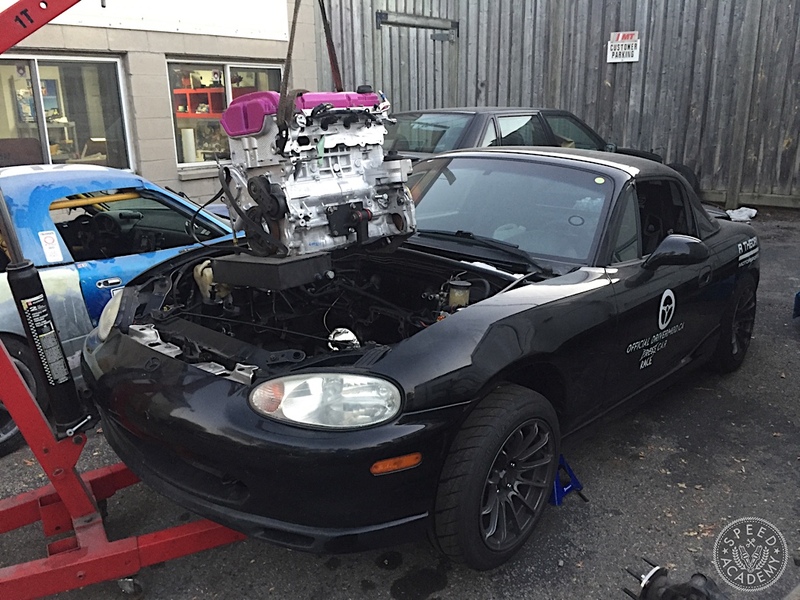 After destroying the car’s original 2.4L Ecotec swap, we’re nearly finished preparing a second Ecotec engine for its new life in my 1999 Mazda Miata with the EcotecMiata swap kit. That includes engine mounts, oil pan, clutch, flywheel and flywheel adapter and everything that goes on, well, an engine. You can read about those details in this series’ earlier articles. There was, however, one detail that made this motor’s installation different from the last. In 2006, the first year of the 2.4L LE5 engine, GM pressed an oil cooler to the back of the oil filter housing. 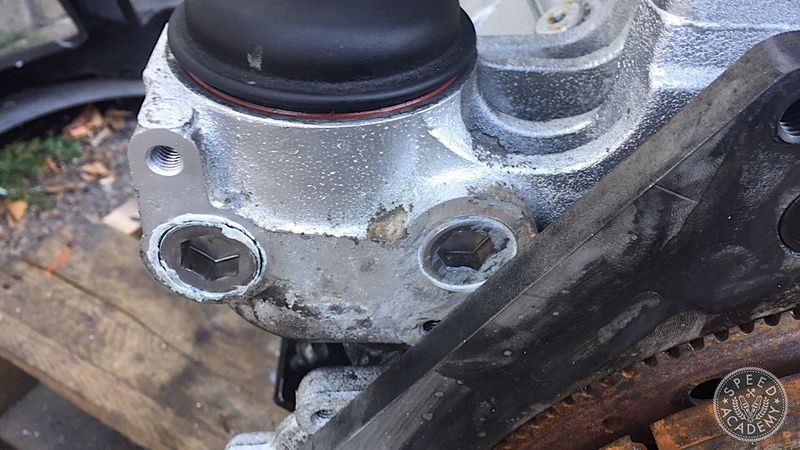 The oil cooler wouldn’t fit pressed up against the Miata’s transmission and firewall, so we drilled, tapped, and plugged the holes with stainless steel plugs, the result of which can be seen below. 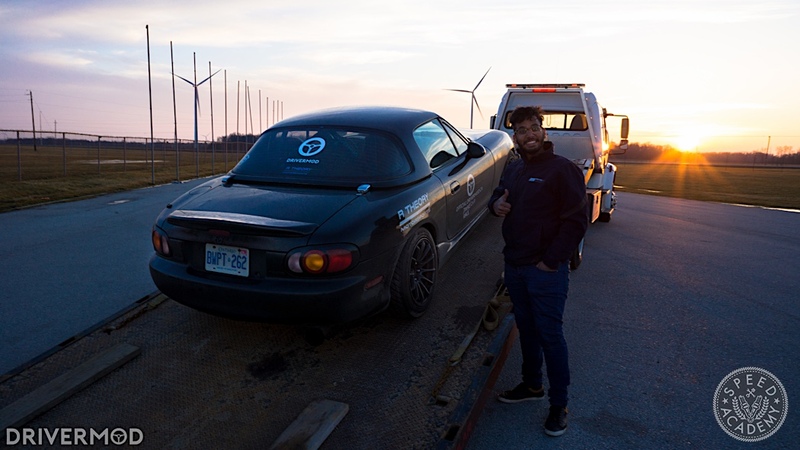 With the motor prepped and some help from friend Rajan from R Theory Motorsports, we jacked up the car and dropped the motor in the car in the parking lot of MT Motorsports (the inventors of the Ecotec Miata swap). 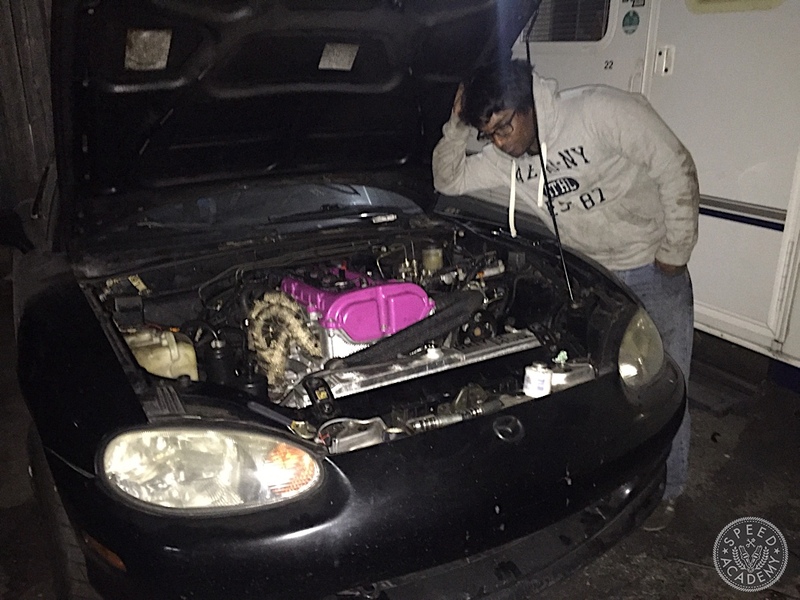 The day started at 7:00 pm, ended around 1:30 am, and consisted of plugging in the wiring harness, installing all accessories, the front sway bar, and fluids. Finally, we turned the key, and it started. It was smooth, or at least as smooth as a modern GM four cylinder with 47,000-km should feel. That’s until we discovered oil pooling under the car. If you looked at those plugs earlier and thought, “There’s no way that’ll hold 80-psi of oil pressure”, you’d be right. Oil was streaming out of the plugged holes. 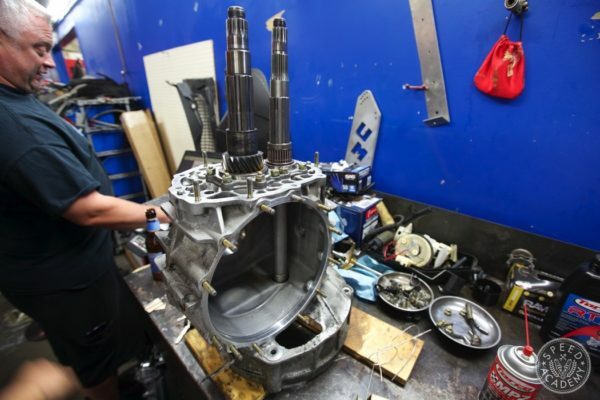 At that point, a year and a half into this project and on my second engine, I threw my hands in the air and asked Matt from MT Motorsports to finish the car. About three months later, the car was ready for pick-up. 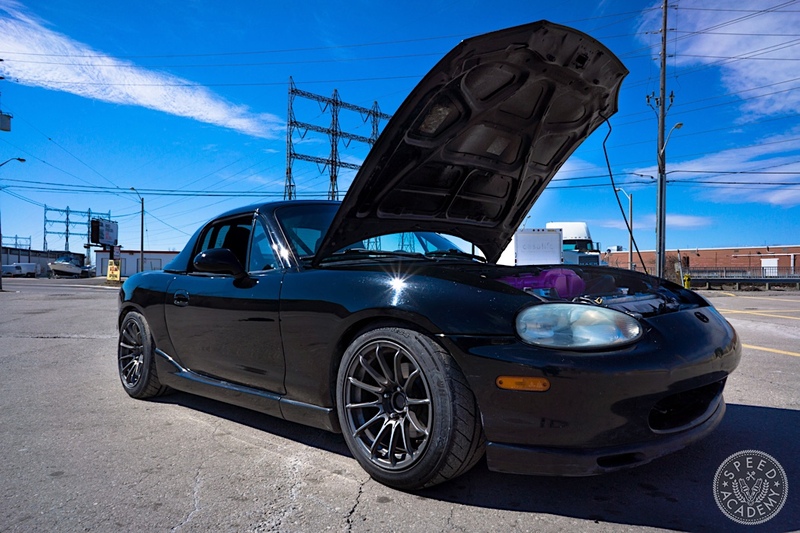 To their credit, MT fixed a ton more than just the oil leak – a twisted brake hose, broken VVT solenoid connector, wiring to my reverse lights, a bad tensioner pulley – the little things. More importantly, the car drove and didn’t leak oil. 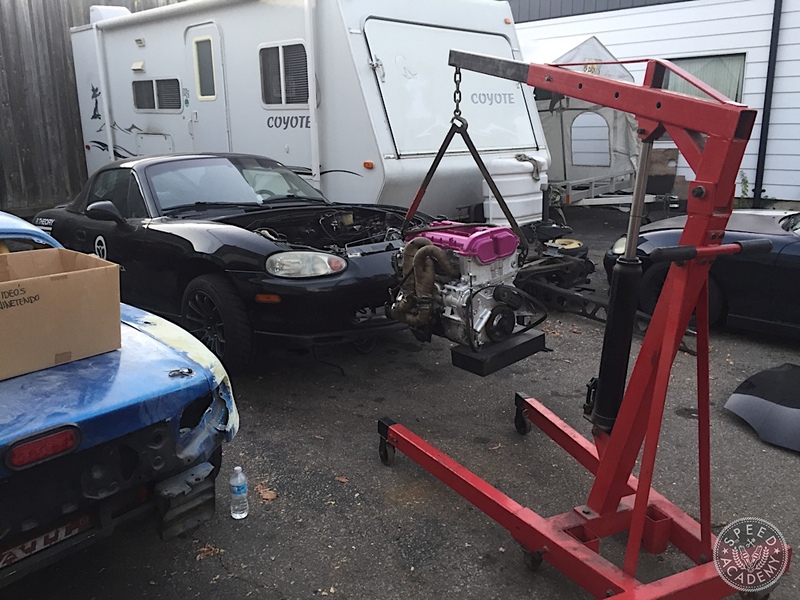 And what do you do when you get your track car running after being down for five months? You send it to the racetrack. Then I spun out entering Turn 1 and decided it was time to come off the track. That’s also around the time that we noticed it was leaking oil. Its origin was those oil filter hole plugs. So we did the usual; pushed the car out of the paddock and into the driveway of TMP, called a CAA tow truck, and called it a night.